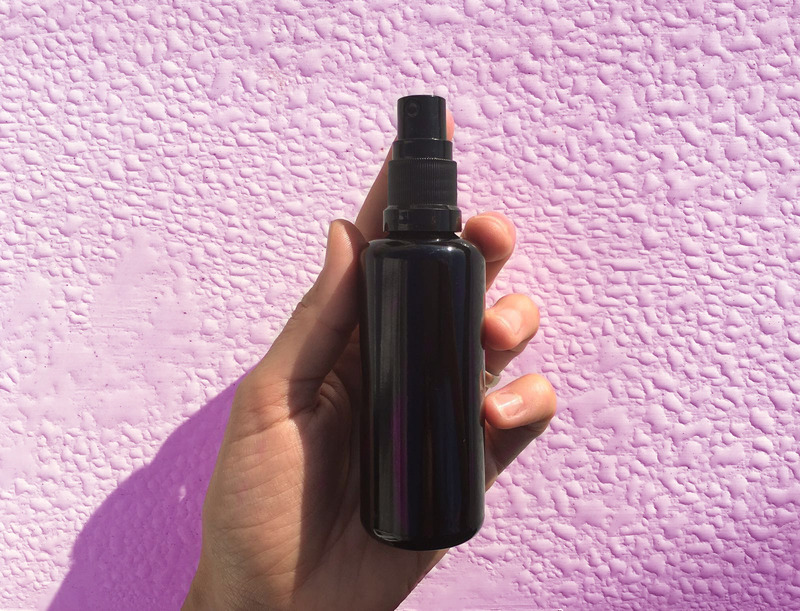 Buy the following 100% organic hydrosols and mix them together in a 150 ml or 200 ml spray bottle (preferably dark glass: blue, brown or green) and make sure the spray that is provided comes with a little cap for protection. Also, be careful that the little transparent tube within the bottle is properly cut, not squeezed, and also does not have little holes). They all contain carboxylic acids, which are very soothing to the skin. Hydrosols are products from plants steam distillation processes (to create essential oils) and are amazingly fragrant, hydrating, refreshing, cooling. It’s enchanting to the spirit and has no restriction rules! Spray it early morning to refresh and wake the skin up or simply cool it. You can do this all over your body and hair for a natural subtle fragrance and hydration boost, as a toner after cleansing the skin, after the sun to cool and soothe the skin, to fix make-up, etc. I personally keep my hydrosols in my fridge for maximum freshness and maximize the cooling effect. Enjoy!